Love her or hate her, her novels will provoke some of the most interesting and intense discussions you’ll ever have about a book, some which are unproductive of sleep later that night. Next post: Poetry for a few hours and then the alcohol takes over. 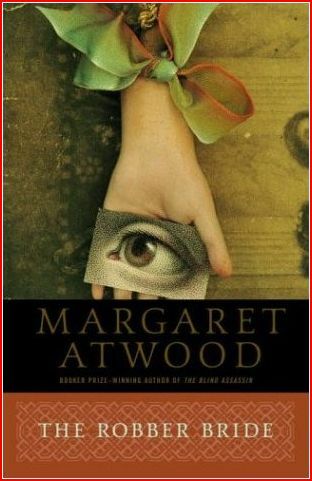 My book club reads mostly women’s fiction, and we’ve read a lot by Canadian novelist Margaret Atwood. Love her or hate her, her novels will provoke some of the most interesting and intense discussions you’ll ever have about a book, some which are unproductive of sleep later that night. Trust me, I know. In The Handmaid’s Tale, set in the near future, the religious right wing has taken over the US in a coup, using weapons that have rendered the majority of the population infertile. 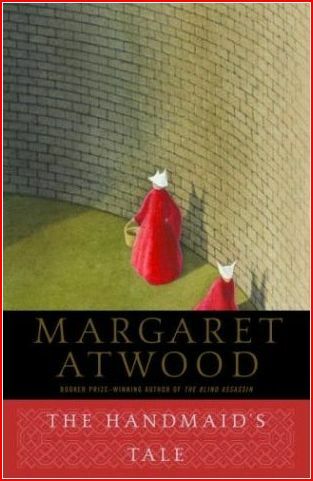 The story is told by Offred, or “of Fred,” one of the few fertile women left, who are sold into slavery as baby makers. This novel, yes, is a horror story and a cautionary tale, especially given the global realities of today’s world. It is also that wonderful rarity, science fiction that achieves the level of art. The characters are uncomfortably real, the commander and the commander’s wife in particular, and I’m still troubled by Offred. Why was she such a wimp, why did she so easily allow the commander to dress her up like a doll and parade her out to the illegal nightclub, why did she allow the commander’s wife to pimp her out to the chauffeur? The last chapter never fails to make me froth at the mouth, I think mostly because I don’t want Atwood to be right, and I’m terrified that she is. 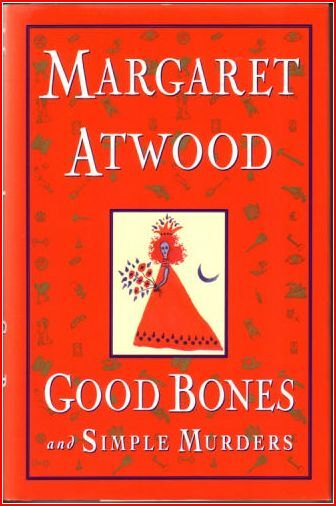 Every story in the Atwood anthology of short fiction, Good Bones and Simple Murders, is good. I have to say that up front, because now I’m going to tell you that the third story, “Unpopular Gals,” is why this book will remain forever enshrined on my bookshelf. In five and a half pages, Atwood tells you why fairy tales live forever, and it ain’t because of that wimpy, weak-kneed, put-upon little girl whose rescue always takes center stage. Oh no, it’s the evil stepmother, it’s the ugly stepsister, it’s the wicked witch in the woods who move the story along. “I’m the plot, babe, and don’t ever forget it.” You’ll never look at Snow White or Cinderella the same way again. I also loved The Robber Bride, the story of Zenia the man-thief, as told through the eyes of three of her victims, Roz, Charis and Tony. Men are the loot in this book, Atwood told a hilariously intimidated Charlie Rose*, but some or all of the gold may be dross. So is Zenia a villain for stealing their men, or a heroine for rescuing the women from them? Don’t ask me, I’m still not sure Zenia is really dead. Zenia’s been dead before. It’s the one where Atwood is talking about The Robber Bride, which has just come out, circa 1993, I think. I don’t see it here. Try following “The Handmaid’s Tale” with Heinlein’s “Revolt in 2100.” Same culture at its beginning and at its end. And I just recently noticed that, using Heinlein’s own timeline, the theocracy didn’t last any longer than the Soviet Union – one person’s long lifetime. Oryx & Crake trilogy also food for thought!! !